If you're looking for bass for a tight space, Kicker designed their CompRT subs with compact cars, pickup trucks, and ATVs in mind. 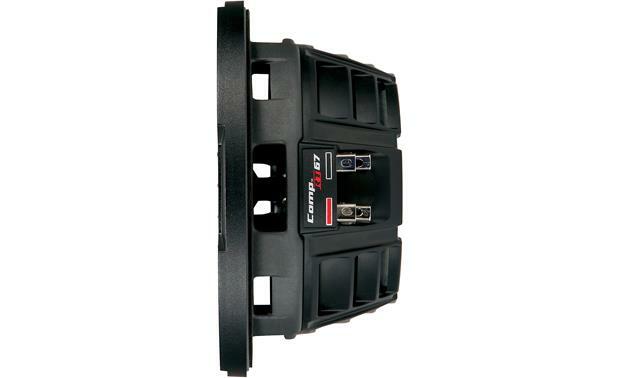 The low-profile 43CWRT671 6-3/4” subwoofer performs just like a full-size sub, but without killing all your cargo space. This high-performance CompRT sub stands less than 3" tall, so your installation options are wide open. The 43CWRT671 comes equipped with a rigid injection-molded polypropylene cone that won't flex and cause distortion while you're cranking the bass. Its rubber surround will last through years of heavy use, combining with a special-design back and top plate to give you more excursion (which equals more bass) than other skinny subs. 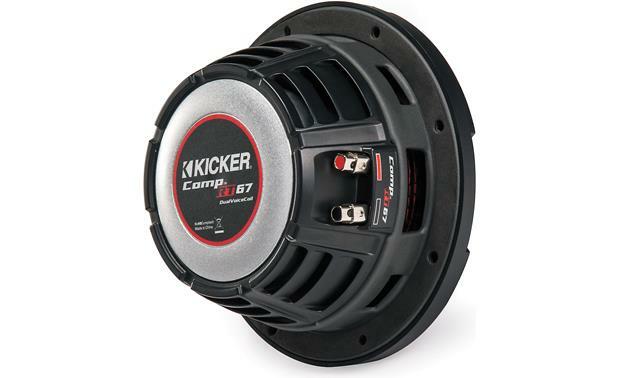 This sub handles up to 150 watts RMS so make sure you've got a solid amp to power it, and Kicker offers a compact PX Series amp that's a great match if you're trying to save space. You can wire the dual voice coils for either 2- or 1/2-ohm total impedance, giving you more wiring options when setting up your system. This sub sounds great in a sealed enclosure. 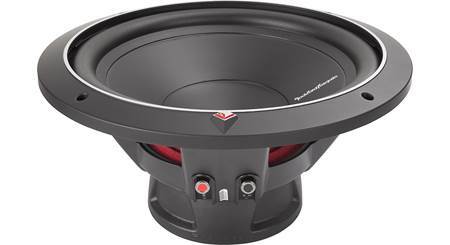 To drive this single subwoofer, we recommend a mono amplifier rated between 120 and 225 watts RMS at 1/2 or 2 ohms. For more information, please refer to our article on How to Match Subwoofers and Amplifiers. sealed box volume: .18 - .75 cu. ft. I purchased this speaker as an after market center console bass woofer for my '02 Jeep wrangler TJ. With a little modification, which I knew ahead of time, the speaker works perfect. It has great sound, and no distortion. The price was also very good. do you need an amp for this? Sealed Enclosures: Sealed enclosures provide the most control over a woofer and provide accurate sonic reproduction, making them suitable to all types of music. Kicker recommends sealed enclosures from 0.18 ft³ to 0.75 ft³. Considering no one knows what vehicle you are talking about I would recommend contacting crutchfield support directly and they will be able to help. Yes. 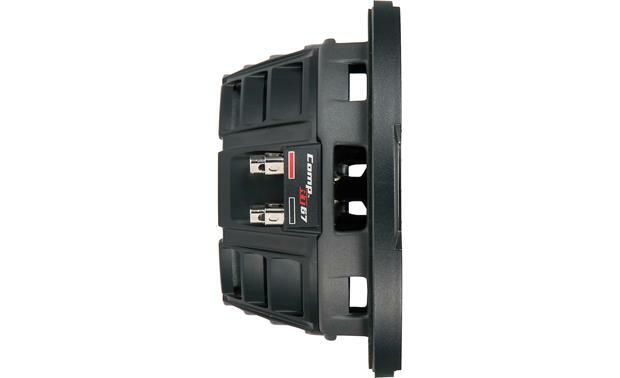 Crutchfield does a good job of helping to find a good matching amplifier to suit your needs. . I would say absolutely. That said you can run it without one, but it won't sound loud at all. Also, if you are just powering off your raidio it would need a crossover to limit the frequencies it gets, as this is a subwoofer, it won't do well playing mids or highs frequencies. Will this work in a jeep renegade in subwoofer location? Will these fit a 2000 XK8 Jaguar rear speaker enclosure? I have a 2017 F-150 XLT with stock radio and 7 stock speakers with 8" touch screen. I need more bass, but I can't justify the $699 expense of the Kicker SF150SC15 VSST SubStageT. Do you need an amp or are these "plug and play" with existing factory wires or a new harness? Do I need to install one or two (one in each rear door)? If I need to install two, do I need two amps? Would I be better off installing a larger, single sub and amp under the seats and keep both rear factory speakers? Can my factory system handle and addition of a single sub? If so, how to wire it??? Thanks!!! 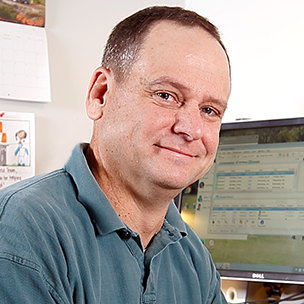 Due to the detailed nature of your questions you will want to contact an Advisor by phone (1-800-324-9695) or online chat to discuss compatibility with your factory system. They will be able to pull up your vehicle and see how everything integrates and discuss what options are available. 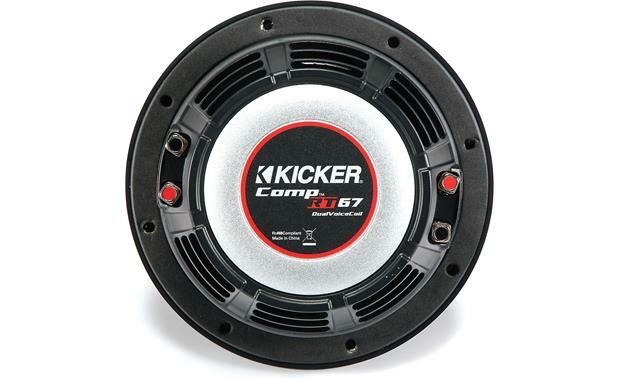 Has anyone put a Kicker CompRT 43CWRT671 in the door of a 2016 f150... I'm worried how it will sound/rattle. Or should I just go with the kicker hideaway in the back? I installed these on mine, let me start by saying it needs more power than the factory Sony amp provides. You will also need a crossover to limit the frequencies this gets, as the rear F150 door gets a full range signal. Also, it will make door panels rattle pretty badly as it moves a decent amount of air. Best bet is build a small sealed box, put it under the back seat, and buy a micro amp to power these. Hi CNC Engineer, Did you ever install this sub in your rear door? If so, did you install one of two? I have a 2017 XLT with stock radio and 7 stock speakers with 8" touch screen. 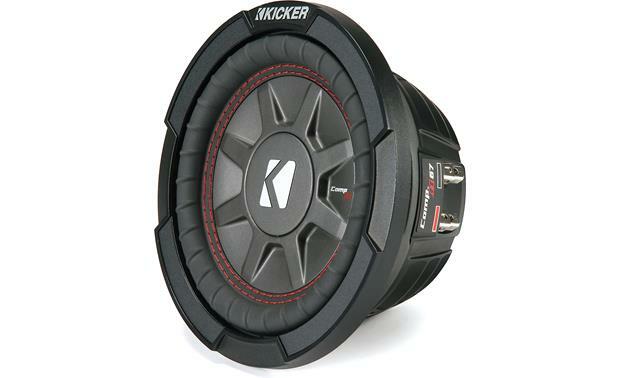 I need more base, but I can't justify the $699 expense of the Kicker SF150SC15 VSST SubStageT. Any complaints or compliments? Good sound and added base? too much vibration? Do you need an amp or are they "plug and play"? Thanks!!! I have a 2016 F150, but I put these speakers in the back doors of the Focus. I can say the aluminum doors on the F150 arent the best, they definitely need some sound deadener. I put some cheap 80-90 mil sound deadener on almost every metal part of the door, and even put some on the plastic door panel. It makes a huge difference in the sound, I also put it on the back wall of the truck. That said there's a plastic ring on the plastic door panel that needs to be trimmed down. 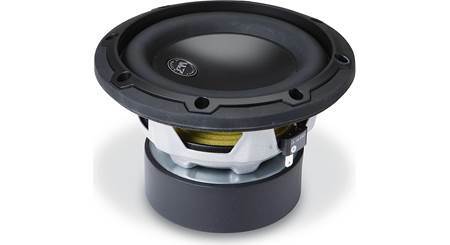 Will this work for a 2005 Silverado 1500 with Bose as a replacement sub? Can I install two of these in my rear door panels or do I still need a box to get the best bass? 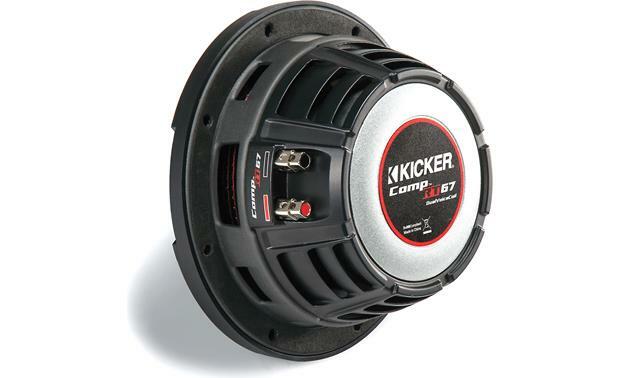 Searches related to the Kicker CompRT 43CWRT671 CompRT shallow-mount 6-3/4" subwoofer with dual 1-ohm voice coils.